Before Golden Technologies entered the power chair market, we met with physical and occupational therapists and asked them two simple questions: What do you like about the products currently on the market? What don’t you like? The Compass Sport and Compass HD are the result of their answers and our expertise — as well as our commitment to help you enjoy life to the fullest, in comfort and in style. With the uniquely designed and fun to drive LiteRider Envy, you get Golden’s high standard of quality and reliability — at a price you can live with and a style you’ll be proud to drive around town. Golden Technologies takes all the worry out of purchasing a power wheelchair. Our expert designers blend the most technologically advanced components with superior designs to provide you with the utmost in quality, comfort and style. We confidently stand behind all our products and provide you with the best warranties in the industry. 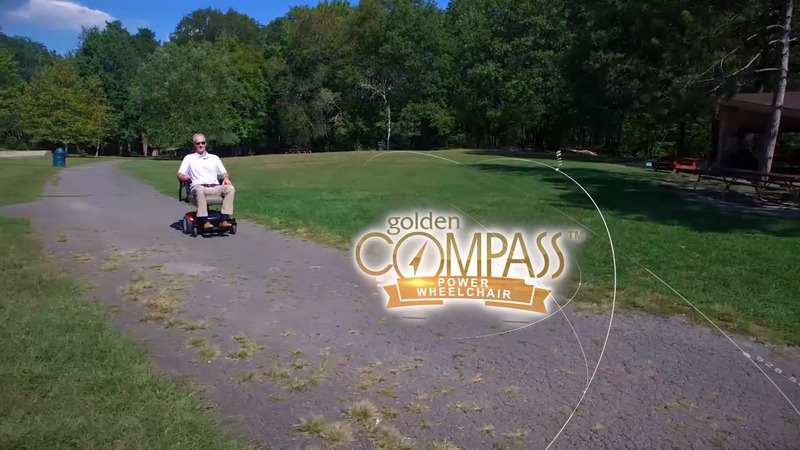 Choose the power wheelchair that all others are measured against… choose Golden!